Old time fishermen are often described as “Iron Men in Wooden Boats.” It honors their hard work in the days before motors and hydraulics. Last spring I went to Bellingham’s Center for Pacific Northwest Studies to look through the archives of the Alaska Packers Association (APA), the largest of Bristol Bay’s historic salmon canners. Among other things, they had several boxes of 4 by 6 inch cards: the company’s records of their Bristol Bay fishermen from 1908 to 1941. They paint a vivid picture of the fishermen who caught sockeye during the bay’s sailboat era. 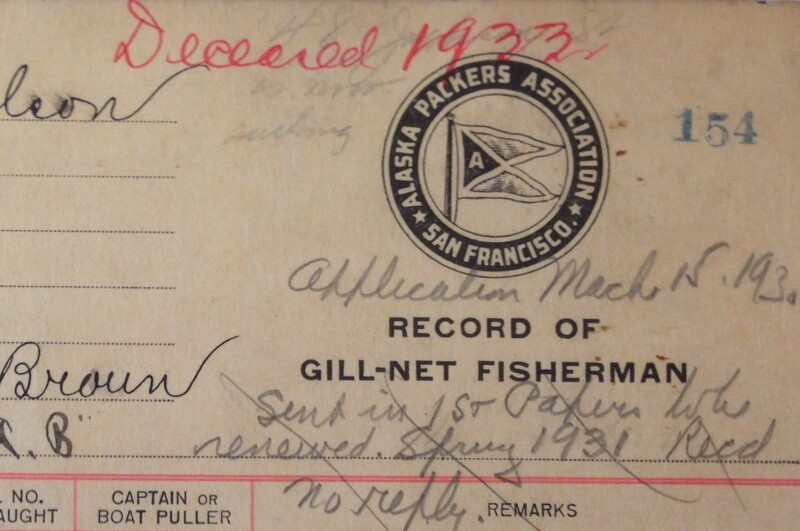 Records of Gill Net fishermen from Alaska Packers Association of San Francisco. They list the canneries where the fishermen worked and the ships they sailed on: the barks of the APA’s Star Fleet and the steamers that succeeded them in the 1920s. They recorded injuries: fractured ribs and injured hands. There were several cases of fish poisoning. It’s often caused by eating raw or under-cooked salmon but can also come from handling fish. Several deaths were noted. The work was hard, the hours long, and the tides, winds, and weather were unforgiving. Overall, two or three fishermen died in Bristol Bay every year. Alaska Packers Assoc. noted in their records whenever a fisherman died while working for them. The company identified “trouble makers,” probably shorthand for union activists, and noted detentions and fines for insubordination. Other problems were listed: One fishermen refused to sail on the Star of France. A Dillingham fisherman tried to deliver old fish. Another fisherman was caught using small mesh gear. Fishermen were paid by the fish, not the pound, so they padded their catch by adding sections of net with mesh under 4½ inches to catch more small fish. The meanest comment was made about some greenhorn who was the poorest fisherman at the Kvichak’s Diamond J in 1923 and blamed it on a sprained thumb. They described him as “no good man,” and there was a big X on his card. He didn’t come back for a second season. But others filled out their cards for 20 seasons in the Bay. The cards list both the individual fisherman’s catch and the cannery average, in numbers of fish. This was before they weighed the catch but you can estimate poundage by multiplying the first number by 6: 20,000 reds are 120,000 pounds; and there are plenty of years when the average was 30,000 reds, or 180,000 pounds. Alaska Packers Assoc. 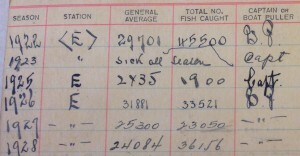 kept detailed records of salmon catches by each fisherman. Remember, these fishermen worked in sailboats. No motors, hydraulic net rollers, or power reels. Just two guys in a wooden boat who pulled their nets in by hand and pitched each fish to the tally scow with a pew. When the wind went slack, they pulled out their oars. For them, the Bristol Bay season lasted five months, from May to September. It took a month to sail north, a month to set up the cannery, a month to fish, a month to close the cannery down and load the pack, and a month to sail back to San Francisco. During the sailboat years, Bristol Bay fisherman averaged 120,000 to 140,000 pounds of sockeye every year, even more on the East side. These catches did not come from exceptional runs. Total harvests averaged about 15 million sockeye annually, and rarely topped 20 million. Compare that to today. In hat’s been a banner year with a catch of 36 million, Bristol Bay driftnetters, with their hydraulic rollers, brailers, and a crew of three or four, averaged less than 100,000 pounds. There are reasons why catch rates were higher then. Fishing wasn’t regulated. Bristol Bay was open 24/7 until 1924. They used 200 fathoms of gear. There weren’t any district lines. Enforcement was non-existent. Effort was also a lot smaller. Back in the 20s and 30s there were usually only 800 to 1,200 gillnetters in Bristol Bay and maybe a few hundred setnets. Now there are almost 1,900 drift permits and 1,000 setnets. The catch is spread out much further – and that’s actually a good thing. Let me tell you about one of these fishermen. Gennaro Camporeale was born in Italy in 1893, came to America and lived in San Francisco, half a mile from Fisherman’s Wharf. He was an Able Bodied seaman and started fishing in Egegik in 1914, when he was 21. He filed for US citizenship in 1929. He fished Egegik for 19 seasons. And maybe more. He stands out because after looking at cards of fishermen who routinely landed 20,000 and 30,000 fish, Camporeale landed over 40,000 fish in 1918, 240,000 pounds. And in 1922, he landed 45,500 reds, 270,000 pounds of salmon pulled onboard by his hands and pitched into the tally scow. I didn’t get to look at all these cards closely but that was the biggest number that I saw. All combined, in 19 seasons Camporeale landed over half a million sockeye at Egegik, 3 million pounds. He had his off years too but he caught 15% more salmon than the average Egegik fisherman, 25% more than on the Kvichak, 40% more than Naknek, and twice as many as on the Nushagak. And what do you think he was paid for that? 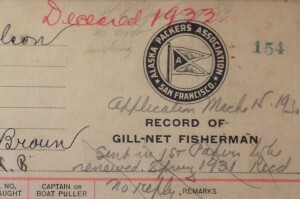 The APA cards don’t record prices but contracts with the Alaska Fishermen’s Union show in 1914 Bristol Bay fishermen were paid 3½ cents per fish, just over half a penny a pound. 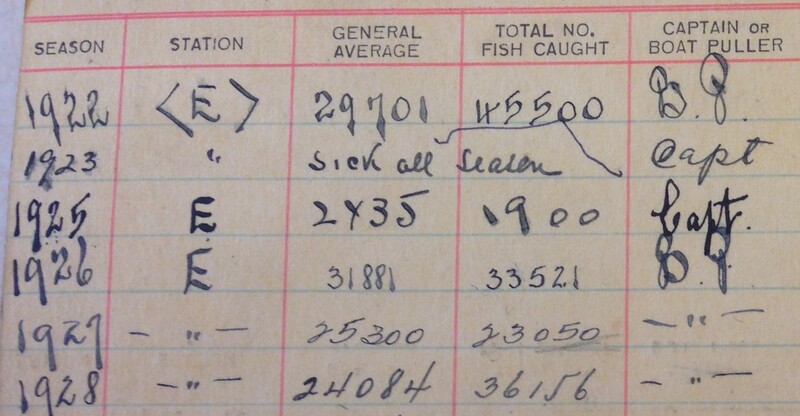 By 1937, the price was up to 12 cents a fish, two cents a pound. Add it all up, for those half a million sockeye, Camporeale earned a grand total of $18,000. Adjusted for inflation, that’s almost $300,000 today, an average of $15,000 a season. 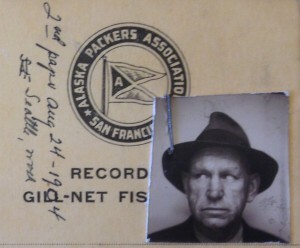 The APA kept photographs of some of the fishermen: blurry head shots stapled to the card, but maybe only of a few dozen out of the thousands of fishermen who worked Bristol Bay’s sailboat days. These are the faces of the iron men of Bristol Bay. There isn’t a picture of Gennaro Camporeale. But each of these fishermen have their stories too. 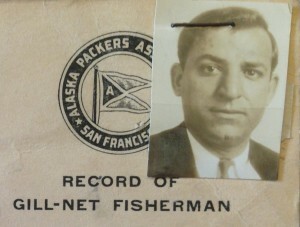 Fishermen’s records kept by Alaska Packers Assoc. As do fishermen today. Fishing remains a tough business. It’s cold and wet, and out in the weather. Despite the power reels hydraulics and electronic conveniences of today, it’s still hard work. It still can be deadly. And prices? Well, that’s another story. Just don’t complain to these guys. I hope fishermen share their experiences. 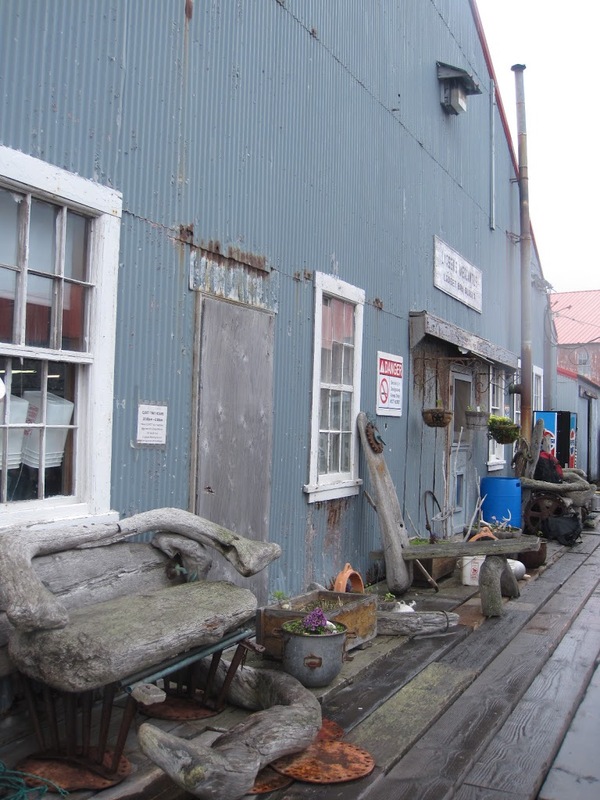 The Alaska Historic Canneries Initiative was created to document and preserve the iconic buildings that are centers of our fishing communities and also to preserve the stories of the individual fishermen and processing workers. I encourage all fishermen record an oral history before their story is lost or left to whatever records are boxed in some archives. Don’t think it has to be profound. Often it’s the most common observation of day to day life on the boat or in the cannery that gives perspective to what this industry means to fishermen, fishing communities, and the broader scope of our history. I admit it. 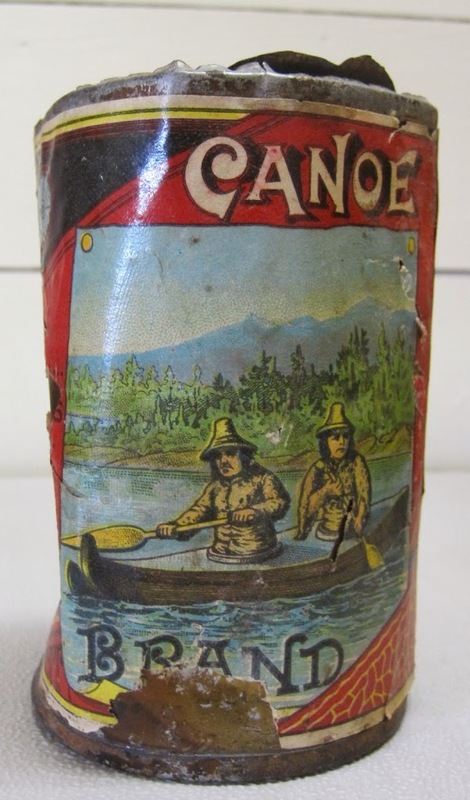 I have lusted over this Alaska Improvement Company can from the moment I read that Kodiak resident Nick Troxell had purchased it on e-bay. In fact, I went so far as to save a place for it in the fisheries exhibit that we are putting together as part of the Baranov Museum’s exhibit redesign project. 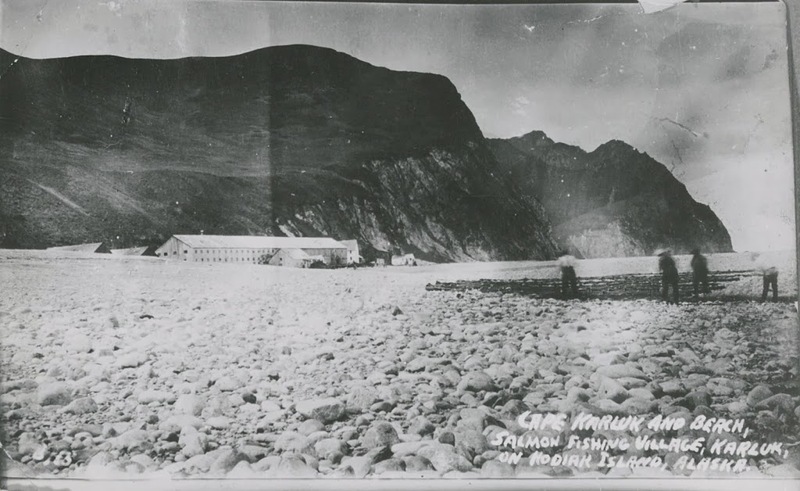 during the first year that the cannery operated. NARA, Kodiak Historical Society P 356-22. Fishermen mending the beach seine at Karluk. 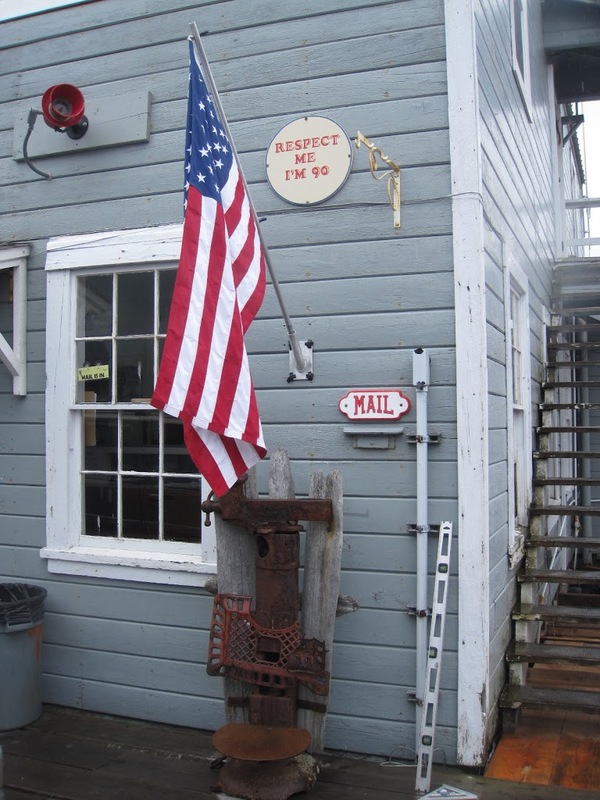 Kodiak Historical Society, P 325-1-a. 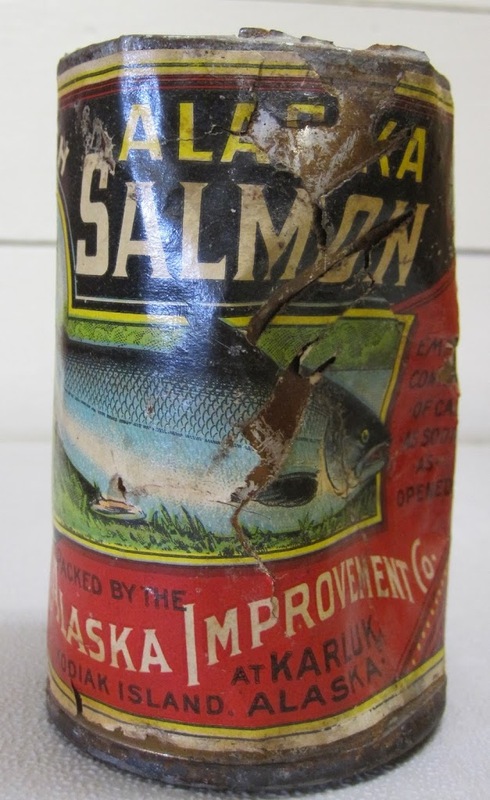 When Alaska was purchased by the United States in 1867, the salmon canning industry was just beginning. Salmon canneries were operating on the Sacramento and Columbia Rivers, and it wasn’t long before canneries were being built further north in Puget Sound, Canada, and along the coast of Alaska. 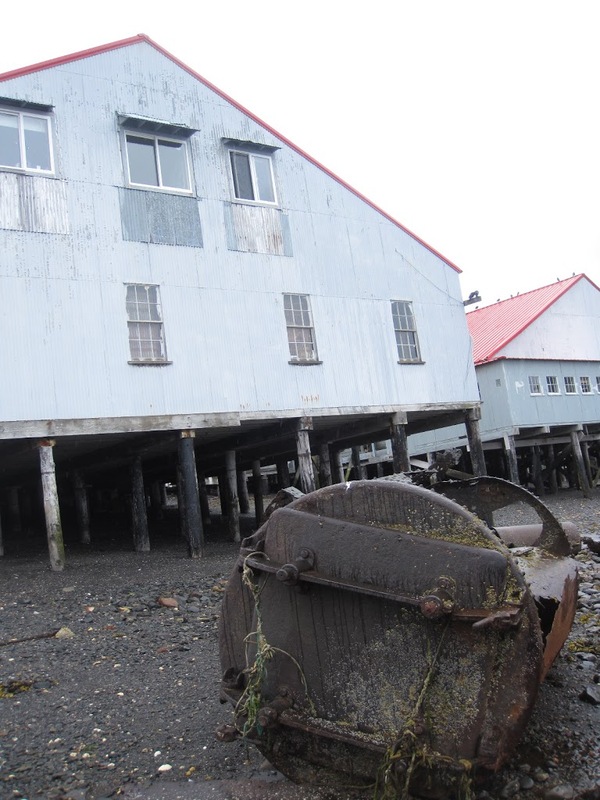 Kodiak Island’s first cannery was built in 1882 on the Karluk Spit. 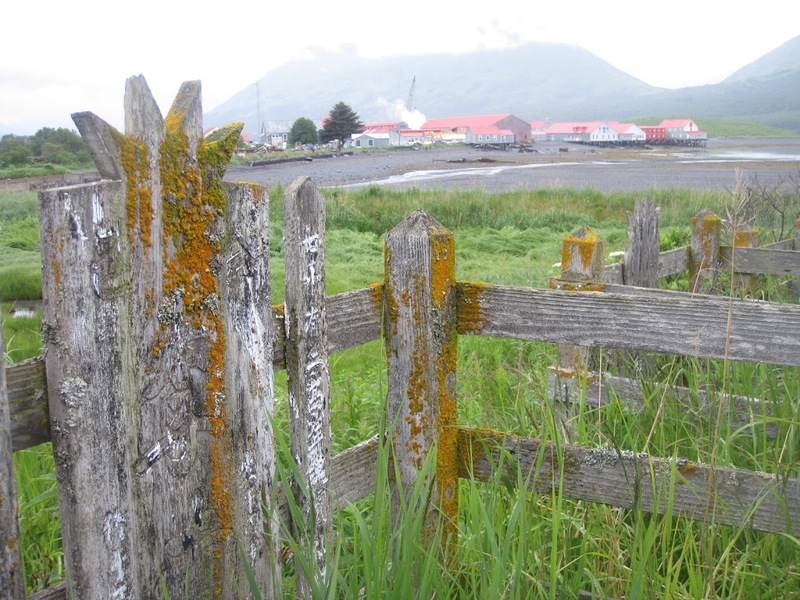 By the end of the 1880’s four more canneries had been built along the gravel spit and bank where the Karluk River empties into the Shelikof Straits, and new canneries were operating in other areas of Kodiak and Afognak Islands. 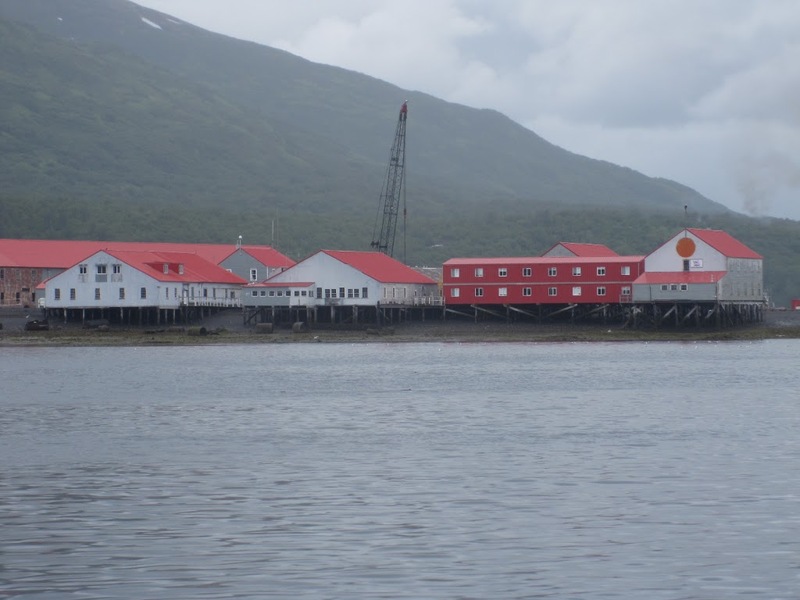 By the end of the 1890’s the Alaska Packers Association (APA) had consolidated operations of many of the canneries on Kodiak and controlled or owned all remaining facilities at Karluk, Alitak, Afognak, Uganik and Larsen Bay. Only two companies were operating independent of APA on Kodiak at the turn of the century. Both of these companies were located at Uyak Anchorage, the nearest anchorage to Karluk from the severe westerly winds that regularly blow across Shelikof Straits. 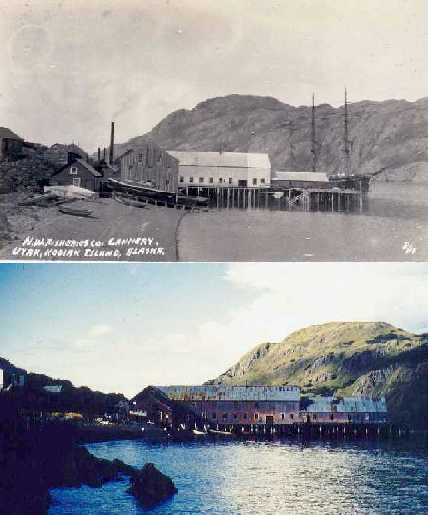 Both the Pacific Steam Whaling Company and the Hume Bro’s and Hume Company built canneries during 1897 at this anchorage and shared water from a small lake and stream that flowed between them. They struggled to compete with APA’s large conglomeration, and over the next decade consolidated into a new company, Northwestern Fisheries Company (NWFC). In June of 1905, a fire burned most of the Pacific Steam Whaling Company’s plant leaving only the Hume Bro’s and Hume plant further to the north, which continued to operate until its closure in 1931. 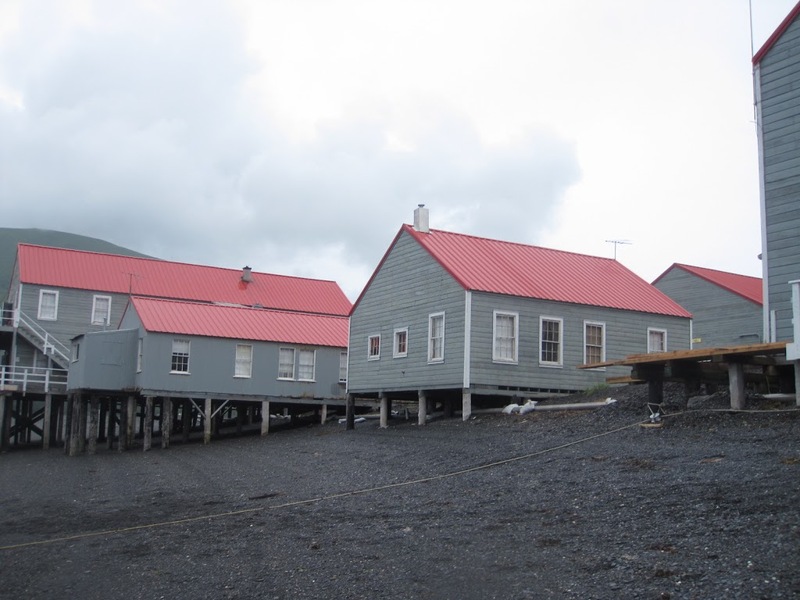 The NWFC warehouses and other buildings stood until the 1950’s when they were torn down and used for structures in the nearby village of Larsen Bay. 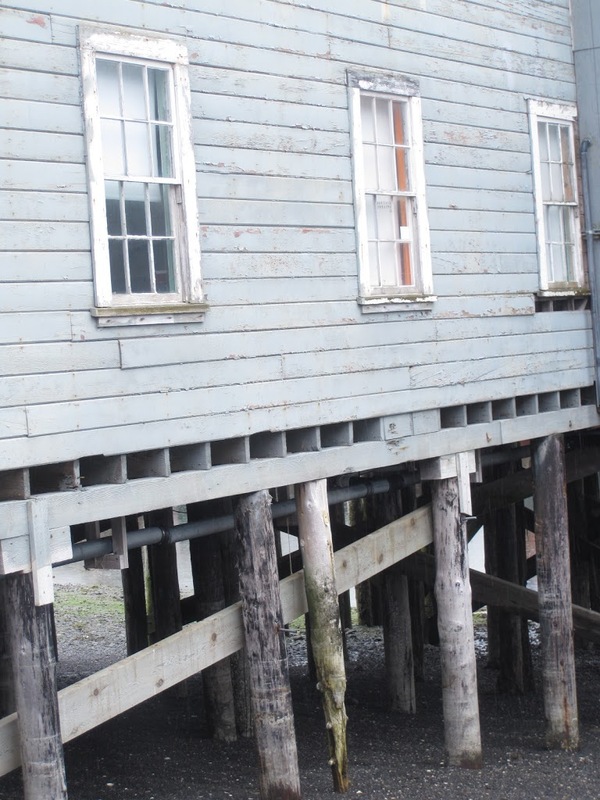 Today, there are only two buildings still standing from the original cannery in addition to some of the pilings that are left where the dock once stood. Old canning retorts, engine blocks, winches for boat ways, and a variety of other machinery and infrastructure from the once vibrant canning facility litter the beach and landscape of what is now called Old Uyak. For the past thirty years Old Uyak has been my home during the summer months where our family gillnets for salmon. I have spent many quiet mornings looking out over the old dock and collapsed smokestack where the boiler once stood imagining the daily activity that would have been part of the Northwest Fisheries Company. From my window I can picture the old sailing ships, like the AJ Fuller and Harvester, swinging anchor in front of the dock, or the mail boat Dora casting off from this dock the morning of the Katmai eruption in June 1912, and watching the sky grown dark a few hours later as they sailed for Kodiak, or the Bertha with a load of lime that ignited in front of the cannery in July 1915 and burned to the waterline (the boiler and ribs from the ship are still visible on the beach). I think of the loads of salmon brought here from the Karluk beach seines and from fish traps around the island, and the Chinese laborers, the Scandinavian and Native fishermen, the plant managers and skilled craftsmen, and can hear the sounds and smell the smells that are so familiar to me from the cannery in Larsen Bay, only six miles away, which has operated from 1911 to this day. Uyak Anchorage is still a busy place throughout the year, with the commercial fishing fleets coming and going to delver fish to tenders or to anchor for shelter or rest. Many of these folks may only see some old pilings and setnet cabins now when they gaze on the site of the Northwest Fisheries Company canneries, but others may see what I so, an important connection to our past and a standing record of the salmon industry which has been such an important component of Kodiak’s maritime history. 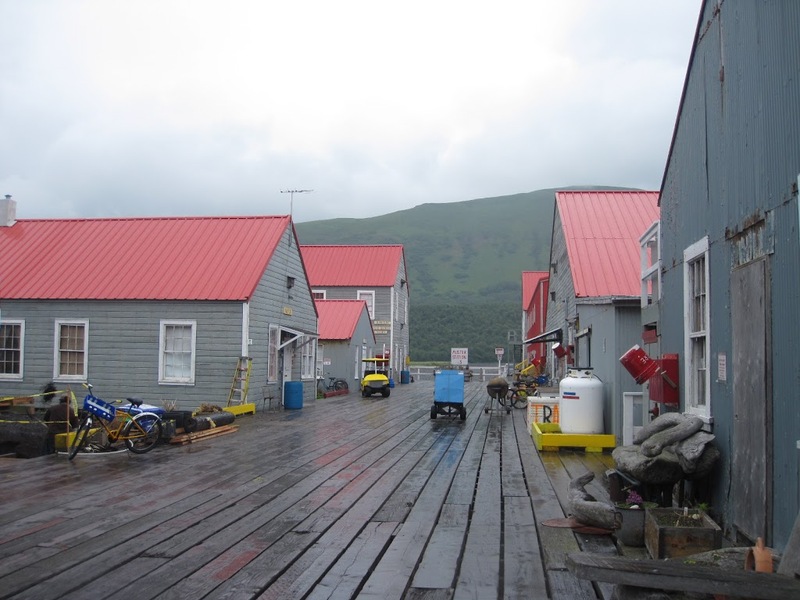 This summer, I travelled to Uyak Bay on the west side of Kodiak Island to visit some friends at their fish camp. 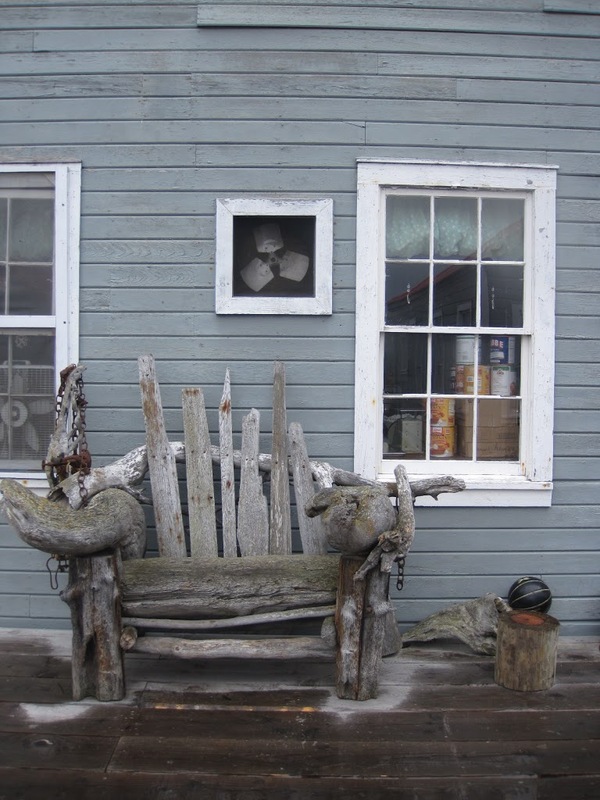 This afforded me my first trip to the village of Larsen Bay, which is home to what is one of the oldest standing canneries on Kodiak Island. 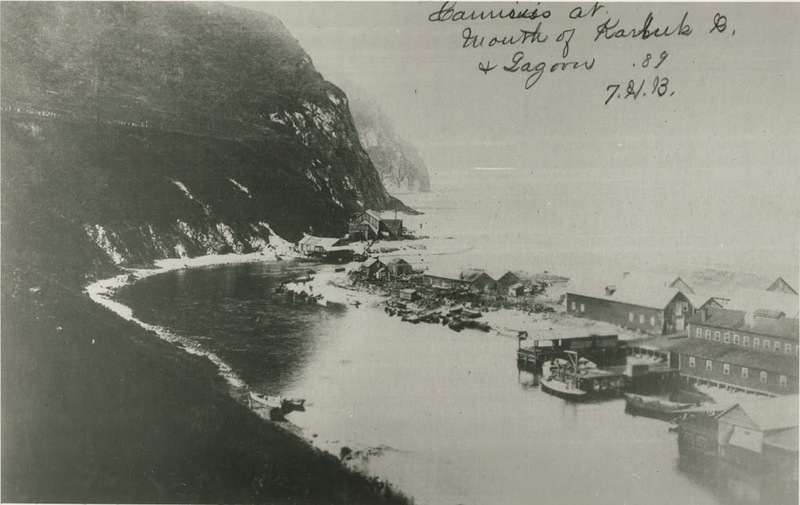 Currently owned by Icicle Seafoods, the Larsen Bay cannery was built by the Alaska Packers Association after the company moved all its packing activities from the Karluk Spit, in 1911. 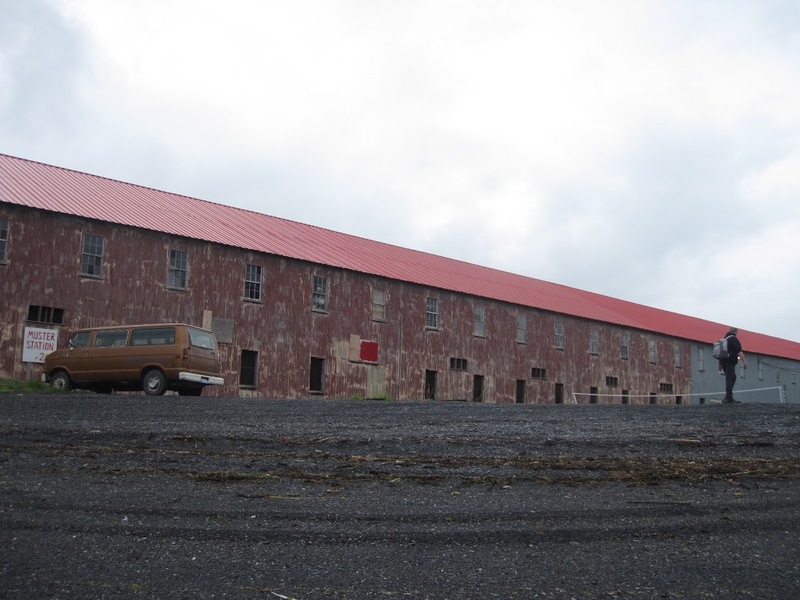 To me, a historian who has spent much time reading and writing about the history of the fisheries, this cannery is a beauty. In a later post, I’ll provide more information about the incredible history of the place. But first, I’m hoping to wow you with some photos.